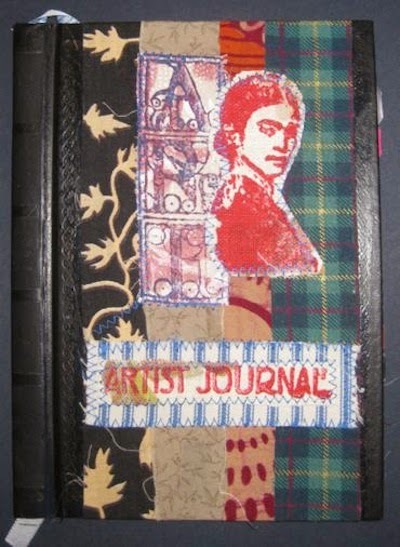 Artist Journal made from an old hard back book, textile cover and hand printed appliqué; 36 pages decorated with page tags and stampings. 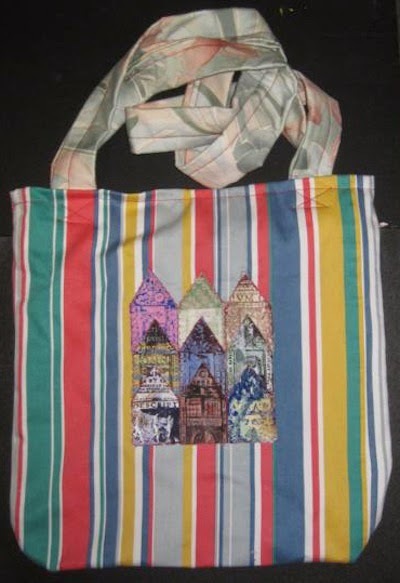 One-size-fits-all apron, hand made from recycled textiles with hand printed textile collage. Textophilia - Coffee Table Version - large scale book with ten pages of individually sewn textile collages. Handmade shoulder bags from recycled materials, featuring a hand-printed textile collage on both sides, fully lined with a velcro fastening. 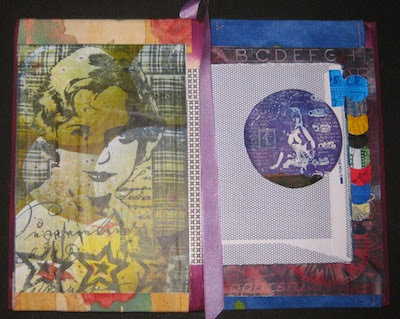 Inside the Collage Journal, made from recycled materials including an old hardback book and envelopes; 36 pages decorated with page tags and stampings utilising collaged prints created by Paperartsy and Lynne Perrella among others. James Sharp is a textile artist working in the High Peak, UK, where his studio is a converted double garage in the National Park. 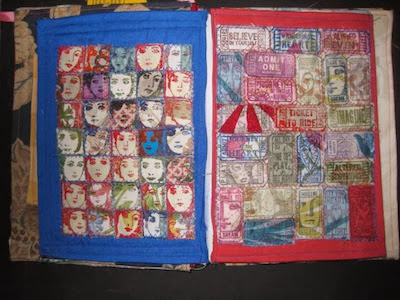 He has developed a technique for printing on fabric and then uses the printed material to create textile collages. These are appliquéd to a range of products including shoulder, iPad and laptop bags, aprons and his Stuff Stash. 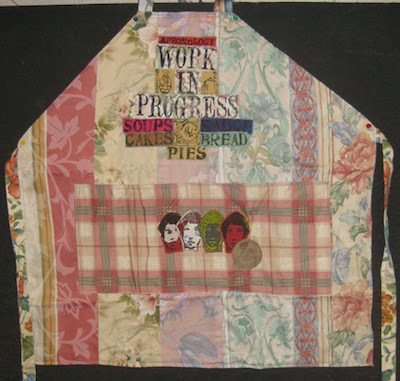 He also mounts and frames his textile collages. James works extensively in art journals, which are made from recycled materials and have textile covered bindings embellished with collage. He has developed journals on a variety of themes including Garden, Travel, Frida Kahlo, Art Deco, Mucha, Alice in Wonderland, Clarice Cliff, Ladies, Weird and Collage. There are also place-specific journals for High Peak, Chorlton, Manchester, Bollington, Bakewell, Sheffield, Bermondsey, Much Wenlock, Macclesfield, Brighton and others. He produces a range of books with slip covers made from recycled materials which can be used for writing in, making notes and jotting down ideas. He also has address books and diaries in his range. 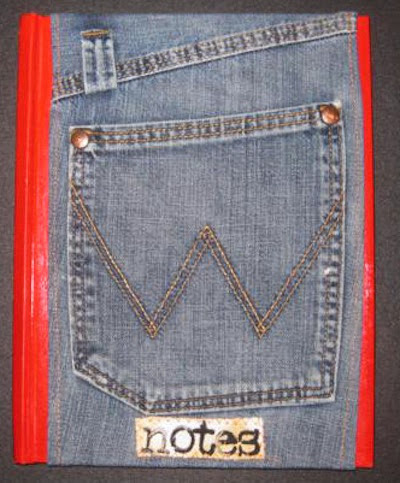 He makes a series of books with denim pockets on the covers for storing pencils and other writing paraphernalia. More recently he has introduced leather covered books into his offering. Many of these items can be customised to order, for specific events, organisations or your own personal preferences. Take a look at James Sharp's website for more information, read about his latest projects and events on his blog, and you can also find him on Facebook and Twitter. 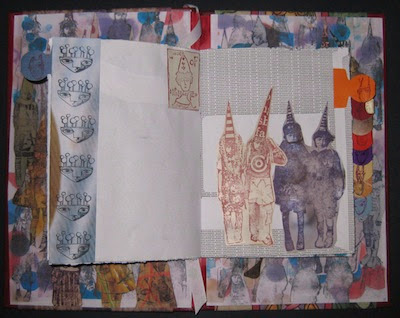 Inside the Weird Journal based on the Zettiology collection of rubber stamps created by Teesha Moore. It has 36 pages decorated with page tags and stampings. 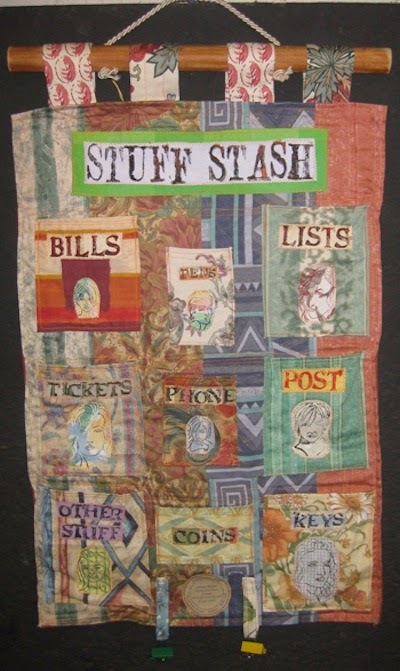 Stuff Stash measuring approximately 30" x 20" with nine pockets and two dangling bulldog clips. Denim pocket books, with a useable pocket on the front cover for pens, pencils, erasers, sharpeners or any other useful implements you might need. 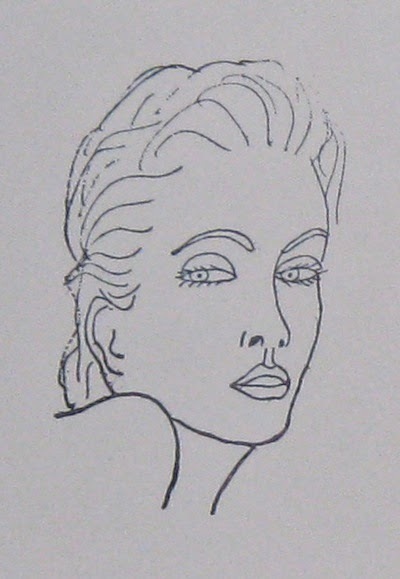 Arabella - one of a range of rubber stamps, based on James Sharp's own drawings. These are high relief so they are suitable for paint on textiles as well as regular stamp pads and paper.